Mobotix is responding to the latest news about the use of non-secure hardware and software in IT or network infrastructures. Global players from the US have already reacted and banned certain manufacturers from public contracts. Australia has also forbidden the use of products from certain manufacturers that are under suspicion of facilitating unauthorised access to data or not being able of warding off hacker attacks via cells on SoCs (system on a chip). Mobotix uses high-performance industrial FPGAs (Field Programmable Gate Arrays) from well-known American manufacturers for its hardware and image generation chains, providing reliable protection for the user. An FPGA is used for the continuous processing of digital signals such as audio and video signals, neural networks and deep learning algorithms / artificial intelligence and makes the system far more invulnerable to hacker attacks and espionage software. “We use proprietary Mobotix software on these processors and retain full control over what the entire system does and is capable of,” Dieregsweiler explains. This approach is a core component of the Mobotix ‘Cactus Concept’, a company-wide overall strategy for cyber-secure products and solutions. Alongside numerous technical measures, such as the use of FPGAs, control over the entire value-adding chain is a key factor in implementing the Mobotix Cactus Concept. “We haven’t detected any hacker attacks on our security systems to date,” Dieregsweiler emphasises. In order to prevent security gaps from arising in the first place, the Mobotix security team regularly checks hardware and software, also in cooperation with internationally recognised penetration test houses. In addition, Mobotix offers trainings and webinars to train partners and customers on the topic of security and to raise their awareness for IT security issues. 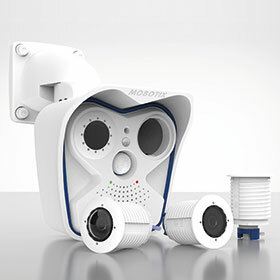 Thus, Mobotix provides end-to-end solutions that offer significantly more protection than the industry standard: A consistent security concept including encryption ‘Made in Germany’, which was successfully tested by SySS GmbH, the market leader in Germany in the field of penetration testing.